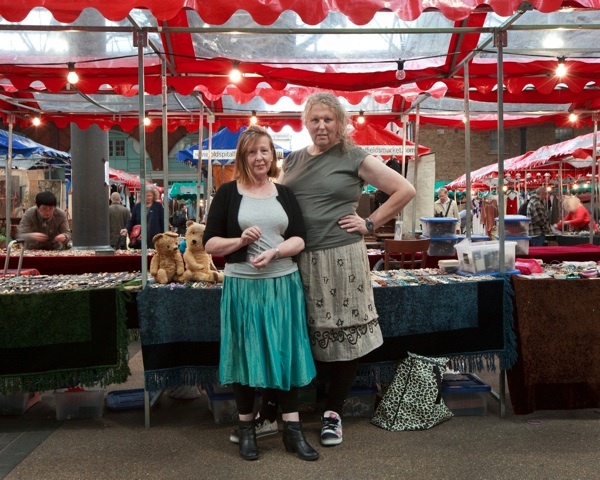 This is Nicola & Tiger, two sassy ladies who have been selling costume jewellery together for five years, and they obviously love what they do because they never stop. 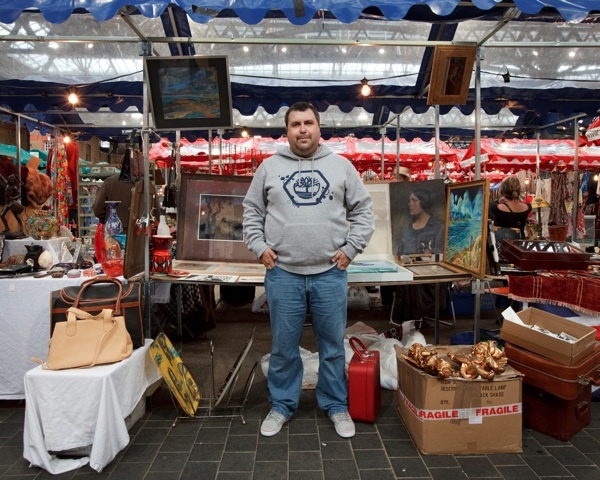 “We don’t wear much jewellery ourselves because we’re so busy working, it could get broken.” explained Nicola, with an ironic grin to illustrate the rough and tumble life of the market. Although,“If we were to go out in the evening, we would wear jewellery,” Tiger assured me – no stranger to social grace – before adding with a playful shrug, “but we are so busy working we never go out.” Both experienced restorers with an art school background, Nicola & Tiger met through the trade and have built up their business from one table to six, all lined with a vast selection of glittery and sparkling things. 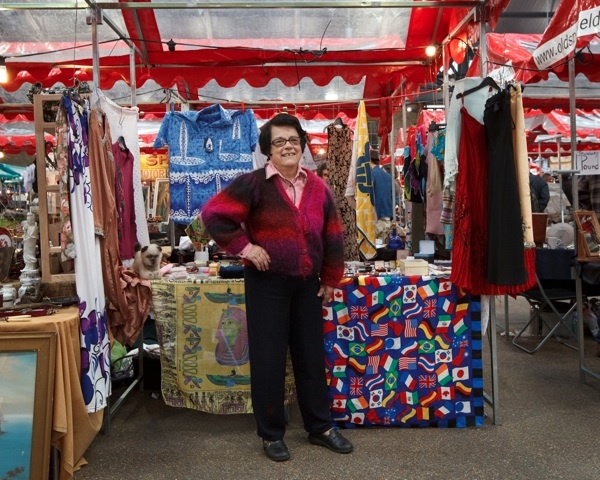 This is Fernanda, a spirited woman who came to London from Lisbon in 1959, and has great taste in knitwear among her many other accomplishments. “If it covers the expenses, then I am not disappointed because I want to get rid of my stuff, ” admitted Fernanda, widening her eyes for emphasis and speaking frankly, “If I stayed at home, I would give it away, so this way, at least I get to I come here. I have nothing else to do, and I made friends here.” Peering out shyly from behind her stall and blushing at her own weakness, Fernanda admitted to me she has a collection over over three hundred fans at home. With quiet determination, she comes each week on the train with three suitcases of her possessions to sell. “At the moment, I am trying to sell it all which is going to take the rest of my life!” she confessed happily, delighted at this perennial excuse to join her friends here in the market every Thursday.